Could the oceans become the place where humanity finally gets its act together? Or will we become the victim of the many environmental threats now coming together? Already over-fished and used as a garbage dump, the oceans now face all the risks posed by climate change - rising water levels, coral bleaching, ocean acidification, to name a few. If the oceans were a human patient, we'd be saying that it is suffering from a severe burn-out. As a species, we have a seemingly endless quest for knowledge, which builds generation upon generation. Yet we appear at times to be incapable of acting on that information. Despite hundreds of years of map-making and more recent advances - increasingly good acoustic mapping at affordable prices, for example - which have improved our knowledge of the oceans, today the ocean area mapped by humans still stands at only about 5 percent of the total. If we act only where we have ample data, our actions will always be too little too late when viewed against the vastness of the ocean realm and the dire consequences of human abuse. Countless species and habitats will be lost before they are even discovered and described. Part of the challenge is to connect the population at large to the fate of the seas. The oceans and marine conservation must become much more visible on the digital media of our age - the ubiquitous laptops, Blackberries and cell phones - much as Jacques-Yves Cousteau awakened earlier generations to the sea's marvels on film and television. That is why we believe that the recent announcement of Ocean in Google Earth, which extends Google Earth by allowing users to navigate through the Ocean beneath the surface of the sea - a program for which we were both advisers - is an important step. This new tool can open up the wonders of our marine world, and it can also show the impact we are having on it. With Ocean, every Internet surfer now has the capability to be an armchair ocean explorer. Knowledge can have an impact. 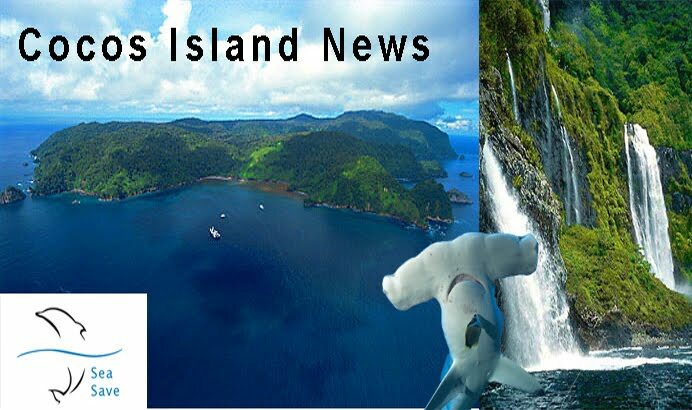 In 2004, an expedition of the U.S. National Oceanic and Atmospheric Administration to the Marianas region in the Pacific Ocean used a robotic system to bring pictures of amazing undersea volcanoes and smoking chimneys rising from the inky depths. One beneficial consequence was that the data from that study contributed information that resulted in the declaration of new marine national monuments by the outgoing President George W. Bush, pushing the scale of maritime protection up a notch. The declaration encapsulates the approach developing in several areas around the globe. "Going large," either with large individual marine protected areas or large networks of smaller ones, is the most efficient way to secure the wildlife and a renewed stream of benefits for people, be it tourism or sustaining local communities and industries. While we have more than 4,500 individual marine protected areas across our oceans, it is striking that 10 of these comprise three quarters of the area under protection. The U.S. declaration on marine national monuments is a significant step in the right direction. But it is still striking that after so many decades of effort to protect the seas, the areas under protection amount only to 0.80 percent of the total ocean area. 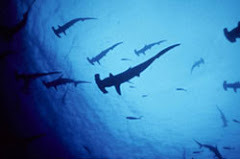 Three years ago, almost 200 countries made a commitment to increase the protected area of the oceans by 700 percent by 2012. That would cover 10 percent of all ocean areas that fall under national jurisdictions. The total global marine protected area has increased since 2005 from 2.2 to 2.9 million square kilometers - a huge achievement, representing a 30 percent increase, but simply not enough. Another 28 countries need to do what the United States did over the next three years if we are to meet our modest target. In short, the network of marine protected areas - both large and small - needs to grow, and it needs to grow fast. Protecting our ocean world for the future requires a rapid evolution in thinking and action. As we consider how to increase the protection of our oceans, we need to move beyond individual habitats and species to large-scale protection of ecosystems and marine "landscapes." We need to increase interest in large-scale marine mapping, and to start making the best use of new technologies to help us decide where and what to protect, especially on the High Seas. We also need expeditions to study and document new habitats and species. We need to make oceans and what we know about them much more "visible" to the public. More and better information about our oceans can only help us make better decisions about their future. However disconnected you may feel from the oceans, remember this - that every breath you take, every sip of water you drink and even the very balance of salt in your blood ties you and every one of us to the fate of our oceans and seas. Dan Laffoley is marine vice-chairman of IUCN's World Commission on Protected Areas, marine adviser for the Chief Scientist's Team at Natural England, and one of the advisers for Ocean in Google Earth. Sylvia Earle is explorer-in-residence at the National Geographical Society, founder of the Deep Search Foundation and lead adviser for Ocean in Google Earth.